Selling a house is not something for amateurs. Don't agonize over choosing the best agent. 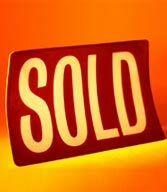 I have the skills and techniques to get your home in Lake Worth sold quickly. Regardless of the property, no house can sell itself these days. The agent you choose makes or breaks your selling experience. The right agent for you is the one that strives for a smooth selling process. 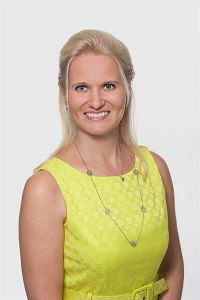 Using my resources at Sanna Eronimous, I promise to deliver a pleasant selling experience! I’ll promote your listing as a top priority, promising it gets the exposure it commands in all available markets, even nationally. Every agent in Lake Worth will be exposed to your home. I determine home values on a daily basis in Lake Worth, Florida and I can help you figure out exactly what your home should sell for and get the best offer possible. Your house will show in prime selling condition, and I'll help by suggesting noticeable fixes to prep and stage your home for Open House events in Lake Worth. I make my sellers my top concern and my priorities show that. I’ll be available when you need me — in person, by phone, and even through text message. As a respected real estate agent in Lake Worth, I'll strive to get the best price for your home and get it off the market quickly. It's easy to snap up a random agent, but deciding on the most knowledgeable agent takes planning. Your home gets purchased quickly when you have a top-selling, honest agent behind you. I'm able to answer any questions that you have about selling your house. E-mail Sanna Eronimous at training@pipelineroi.com or call (561) 317-2207.